Sandra's Ironing Services is based in Maidenhead, Berkshire and provides a quality 24 hour turnaround of your clothes. I (Sandra) am professional and reliable and work in a clean, smoke free environment to ensure a consistently high standard of work. I have a straightforward approach to pricing, which is based on weight, and this is shown in detail on the prices page. 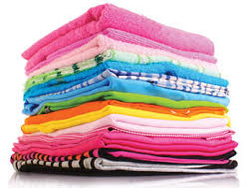 My business was established in 1999 and I provide services to the Maidenhead area in response to a high demand for ironing to be carried out regularly by a reliable local company. My customers now enjoy more spare time and they no longer dread their weekly ironing chore.